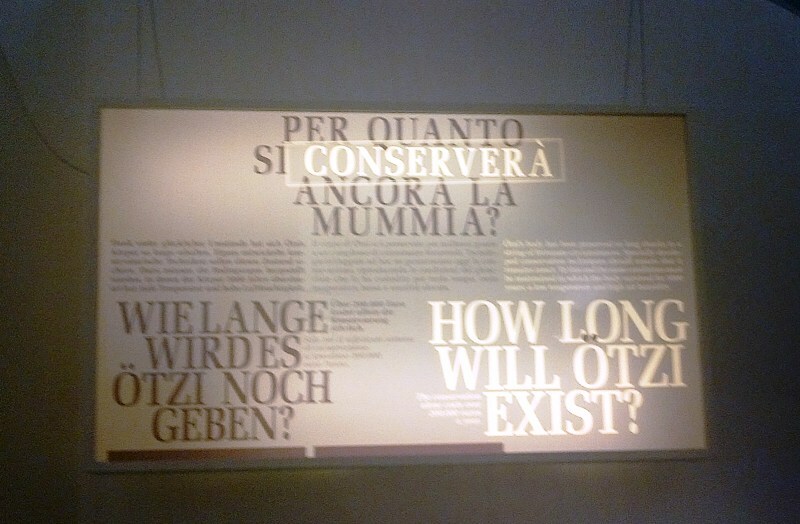 How long will Ötzi Exist? In the town of Bolzano (or Bozen in German) in South Tyrol in Northern Italy, the Dolomites (UNESCO World Heritage) dominate the scenery. But in a little museum downtown, the mummified remains of the Iceman is fast becoming the main attraction for this Italo-Germanic town. The Iceman is unique in the world of mummies. It is the only mummy discovered in the world that has been preserved in ice. For sure, there are others out there buried in glaciers but the Iceman is the first to be found, thawed and preserved. And to date, has remained intact as when it was found. In September 1991, a couple of German hikers discovered a "body" in the Otztal Alps near the border of Italy and Austria. Speculations ranged from a victim of crime or a long lost hiker. Subsequent scientific studies revealed it was a man who lived 3,300 BCE. When the remains were extracted, South Tyrol took propriety rights over the frozen man. It was within 92.56 metres of the border set in 1919. However, scientific examinations were entrusted to Innsbruck. 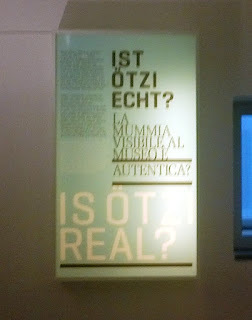 After several tries in naming the Iceman, a German media company branded it, Ötzi, a name that stuck to the "Man from the Glacier" today. 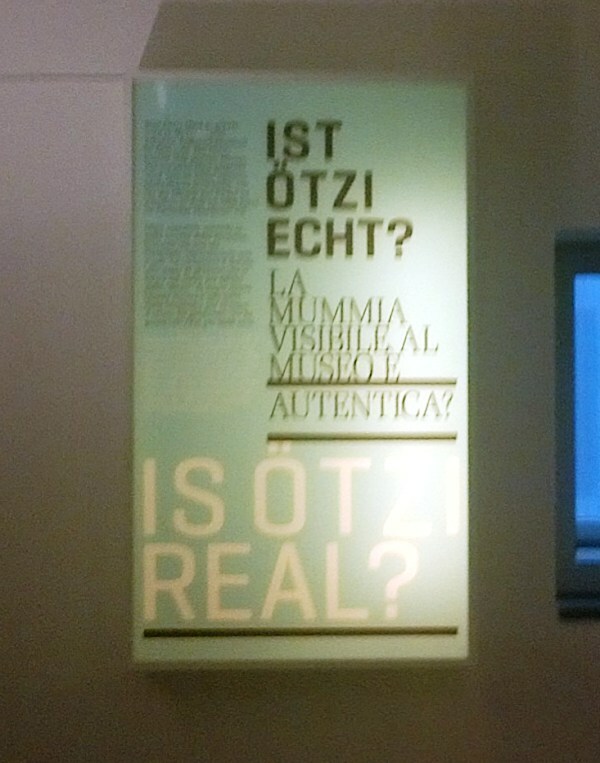 The South Tyrol Museum of Archaeology has only one exhibit and focus. I was thoroughly fascinated when I visited in mid-July this year. The well-constructed narrative the museum presented was captivating: the discovery, the speculations, the scientific studies, dna analysis, the reconstruction of his life and his world, and theories proposed regarding his fate, face down in the gully encapsulated in ice. 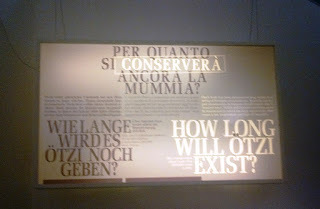 The exhibit humanized the Iceman, his life, the times and the world that he lived in, more "global" than we think. Looking at the man through this small window (maybe two feet by two feet), resting in a morgue, I thought he could have been someone's long dead loved one.